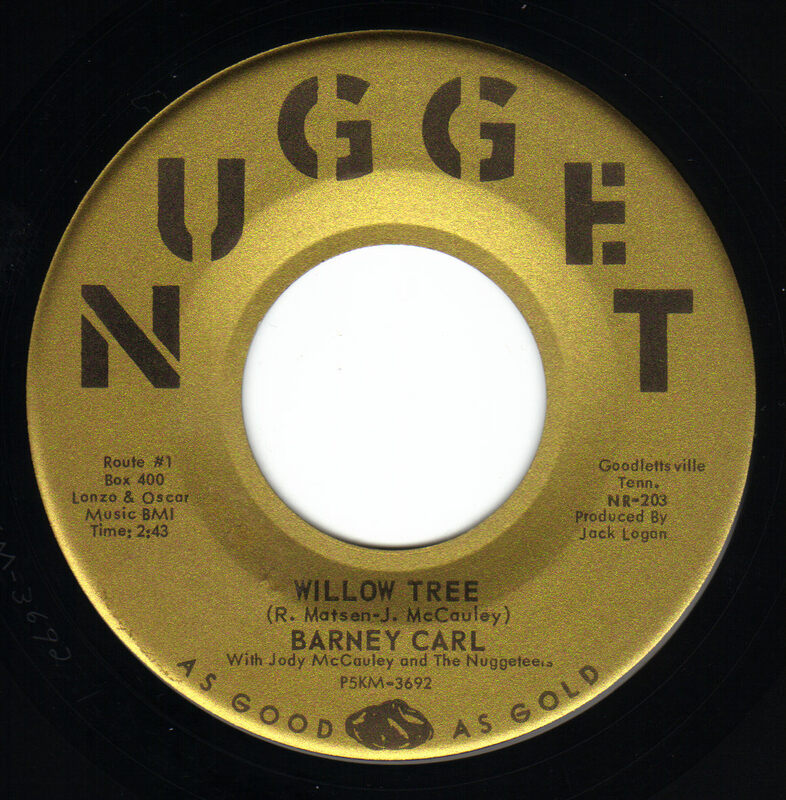 The song "Willow Tree" is a teen ballad written by Monterey Bay folk artist and poet Ric Masten and country star Jody McCauley. It was about a young boy who had scarred his face in a car accident that met a blind girl under a willow tree and fell in love. The flip side, written by Barney, is a patriotic stab at Russian Premier Nikita Khrushchev and Cuban leader Fidel Castro. Both songs were recorded in Nashville. 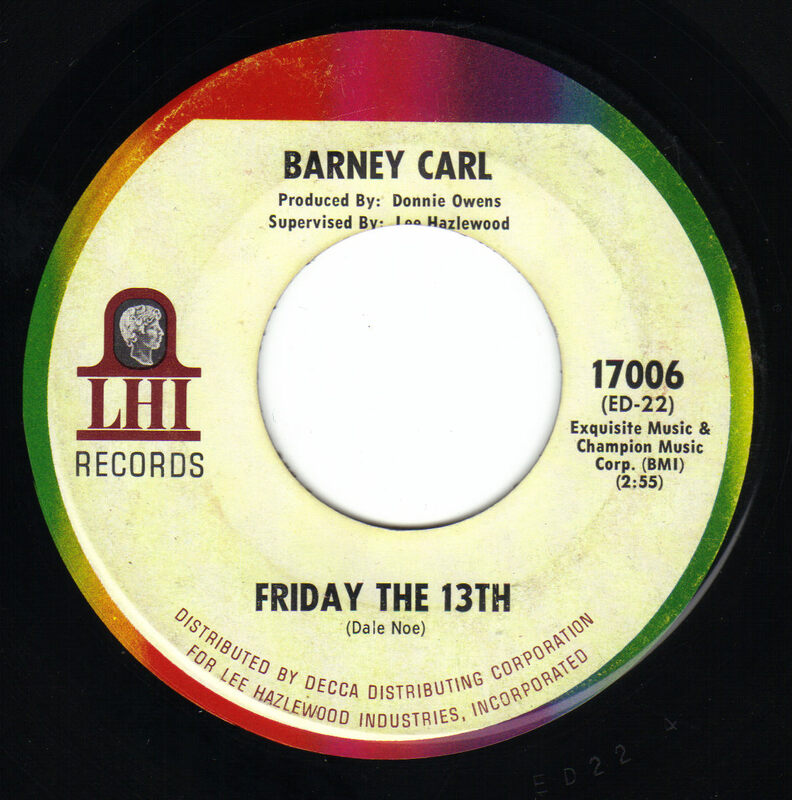 The record "Friday The 13th" and "Don't Stay Long" featured Glen Campbell on rhythm guitar and harmony vocals and James Burton on lead guitar. 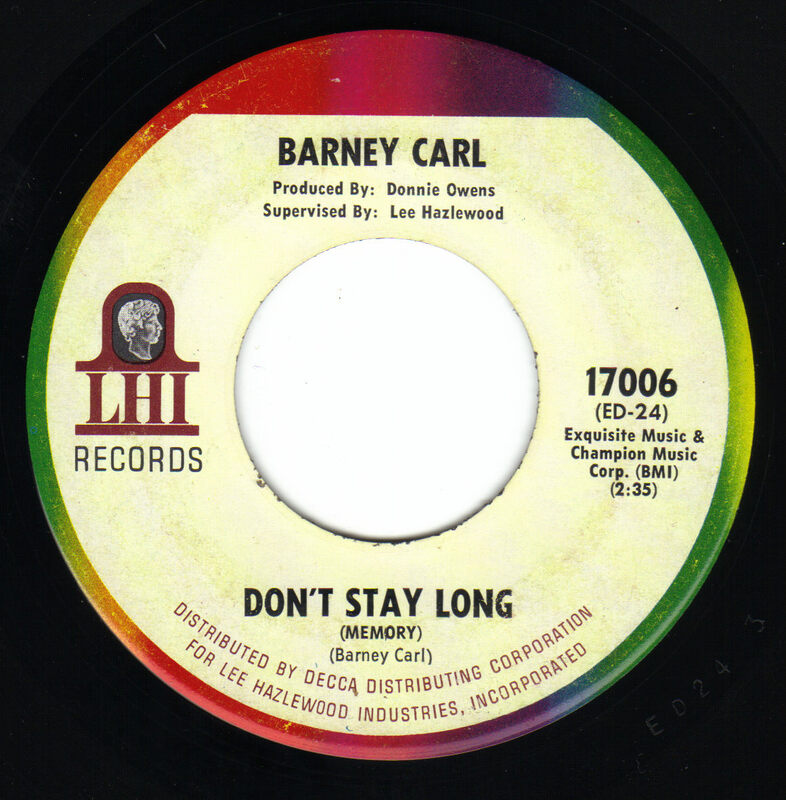 It was recorded at Lee Hazlewoods studio in Hollywood. 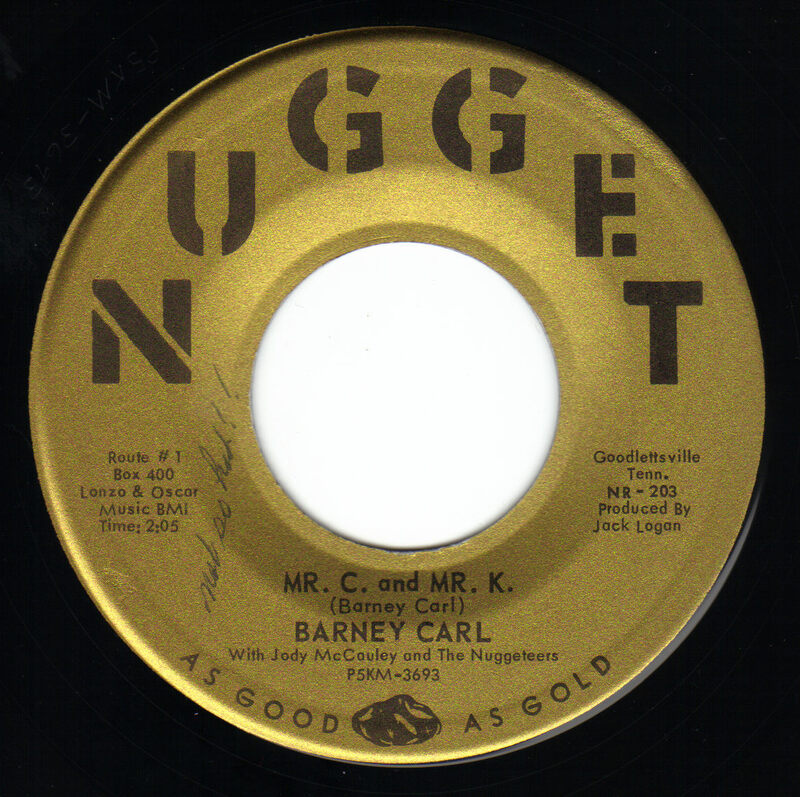 Barney wrote the song "Down At The Corner Bar" and it has been covered by at least 29 artists including Buck Owens. Barney moved to Arizona and recorded an album with a band called The Bonanza's. He is still active in music and performs every chance he gets.